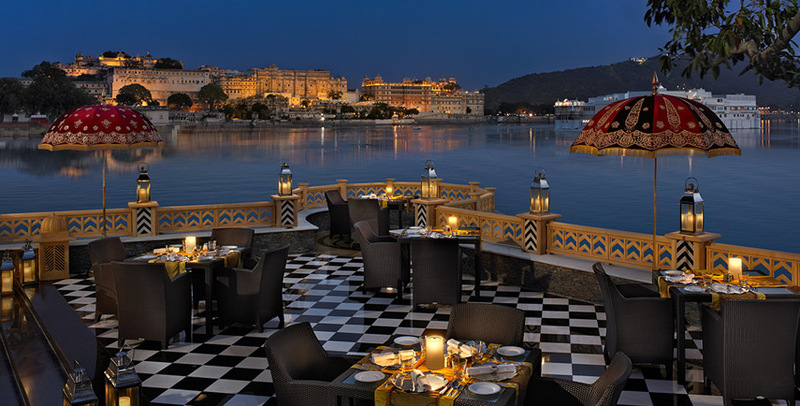 Here you’ll get a list of 5 Star Hotels in Udaipur City. 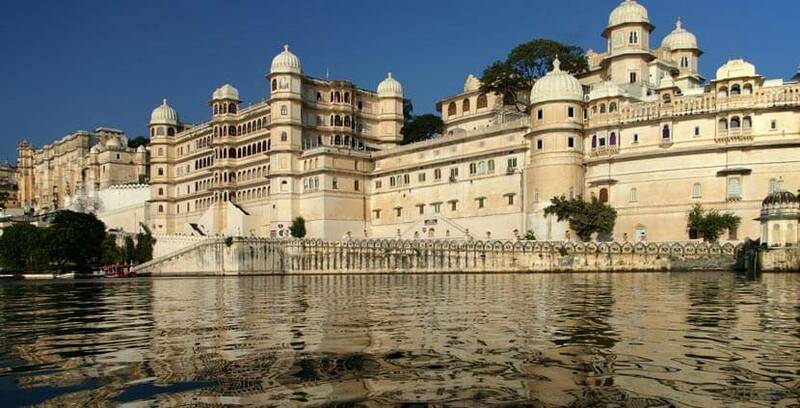 Udaipur is considered as a ‘Heritage City’ because of the royal history and palaces wrapped in the city. There are several ancient palaces of former Kings that have now been converted into luxurious hotels; you can now gain a kingly experience by staying in one of the royal suites of royal dignitaries. Tip: Compare prices online and book the most reasonable deal. Taj Lake Palace is an island resort situated amidst the Pichola Lake; this was built by Maharana Jagat Singh II in 1746. It is considered as one of the most romantic hotel of the world. Maharana Jagat Singh II built it as a pleasure palace for a summer binge for the royal family. The palace owns 17 grand suites and 66 luxurious rooms that you can easily book online. An exclusive boat spa is also offered by the hotel that you can avail and pamper yourself. It is a property of the Taj chain of hotels. 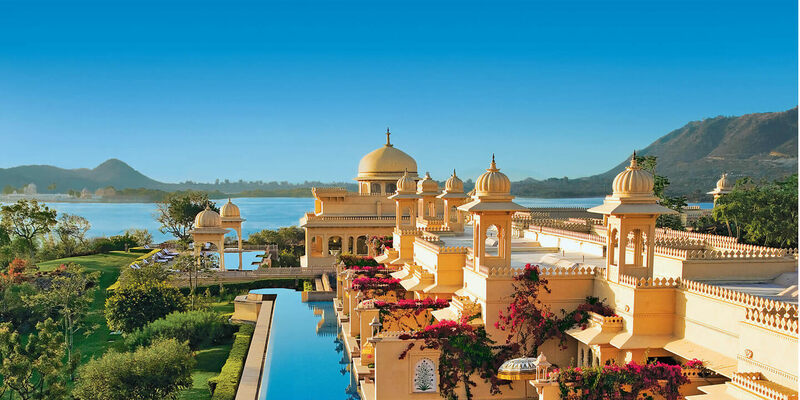 As Udaipur is renowned as the ‘City of Lakes’, for there are several interconnected lakes stretched across the city; The Oberoi Udaivilas is designed to reflect this particular layout of Udaipur with interconnecting corridors and domes. 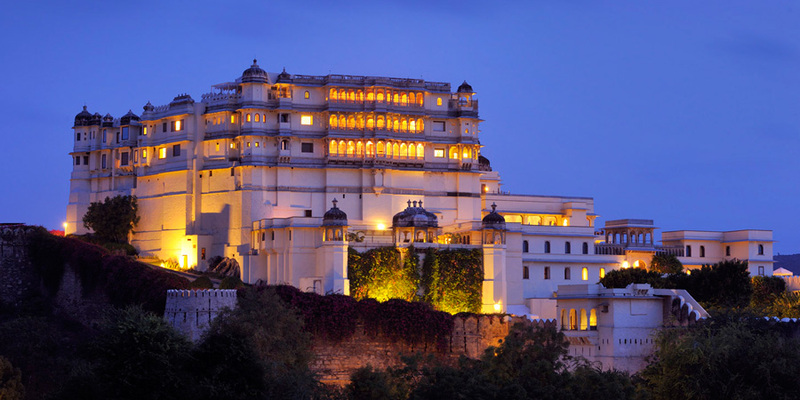 Its royal history states that it is built on a 200 acre royal hunting ground of the past Kings (Maharanas) of Mewar. The Oberoi Udaivilas also follows the same ancient Rajasthani architecture with wall frescos and gold furnishings. 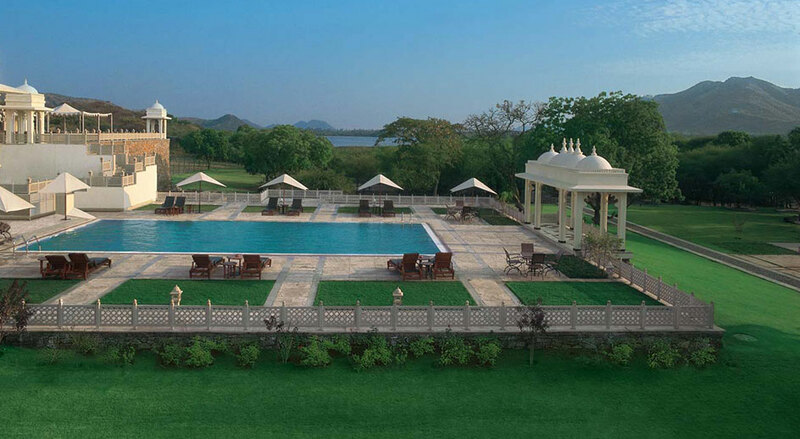 It will surely be a complete delight if you choose to stay in the majestic Oberoi Udaivilas Udaipur. Unlike other Palace 5 star hotels in Udaipur, this hotel is designed to reflect the modern art combined with the grandeur of a grand palace, and considered as the only ‘Modern Palace Hotel’ of Udaipur. 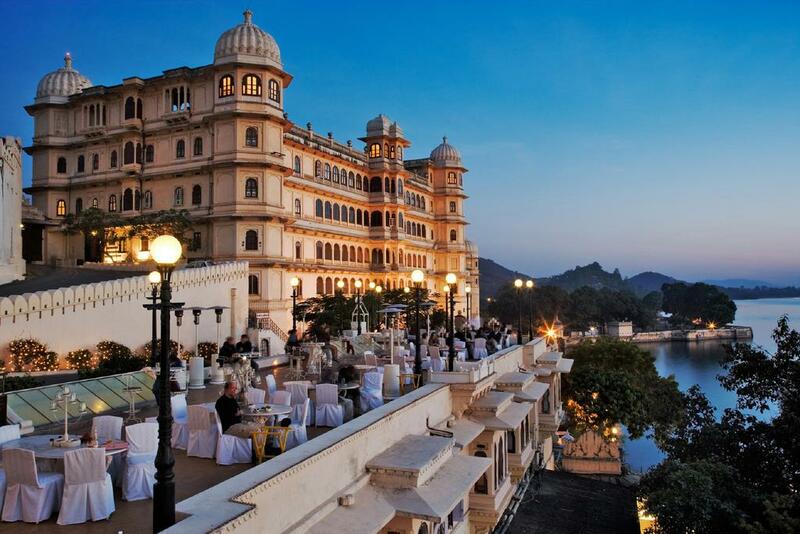 The Leela Palace Udaipur belongs to the famous chain of hotels: Leela. One has to take an exclusive ferry ride to the hotel offered by the hotel itself to reach the premises of the modern palace. It contains a total of 72 Grand Heritage Lake view rooms with balcony; there are separate 8 suites available that includes 24*7 butler services as well. An entity of HRH group of hotels, this palace was constructed during the reign of Maharana Fateh Singh Ji and thus was named after him; he built this palace to organize royal functions. Here you’ll come across various ancient artifacts including paintings, armory and portraits. Each room is decorated with several heritage replica paintings. You can plan a stay here or organize a function or meeting or any other event at the royal Fateh Prakash Palace. The famous chain of hotels: Trident has another great hotel in the list of 5 star hotels in Udaipur. This property is built on a 43 acre land containing 137 rooms and 4 suites. A prime attraction of this hotel is a private wildlife sanctuary in the hotel premises named ‘Bada Mahal’, also there is a ‘Trident’s Kids Zone’ for the little ones to have gala time with numerous toys and games. A hotel near Fateh Sagar Lake on the top of a hill, this hotel is built like a ‘Hill Palace’ on a 26 acre land. It was built by another former king of Mewar named Maharana Fateh Singh Ji in 1911. It has now been converted into a luxurious hotel and a part of the renowned chain of hotels: Lalit. The Lalit Laxmi Vilas exclusively offers an Air Charter Service so that you can directly land into the hotel premises with style and royalty, also you can avail Butler services if you require. Another property of the HRH Group of Hotel, that was built in the 20th century by Maharana Fateh Singh, this palace has been equipped with all the modern facilities along with the royal palace touch as it was built by a King. There are 17 suites that differ from each other; each suite is decorated beautifully with royal artifacts: 8 Terrace Suites, 6 Royal Suites and 3 Imperial Suites. Apart from these in total there are 19 Palace rooms. Located outside the main Udaipur city, TatSaraasa is a delight! It is a combo of Rajasthani art and the modern era, it gives a wide view of the natural beauty Udaipur has been blessed by overlooking Aravalli Hills. One can also experience the village life by visiting the nearby village; the villagers are warm and welcoming. The official hotel website offers two exclusive packages including a Honeymoon Package and a Summer Package. Club Mahindra is also built like a palace in the authentic Rajput Style. The Resort offers few holiday activities for leisure time including various games indoor and trampoline, archery, nail art and pottery making. 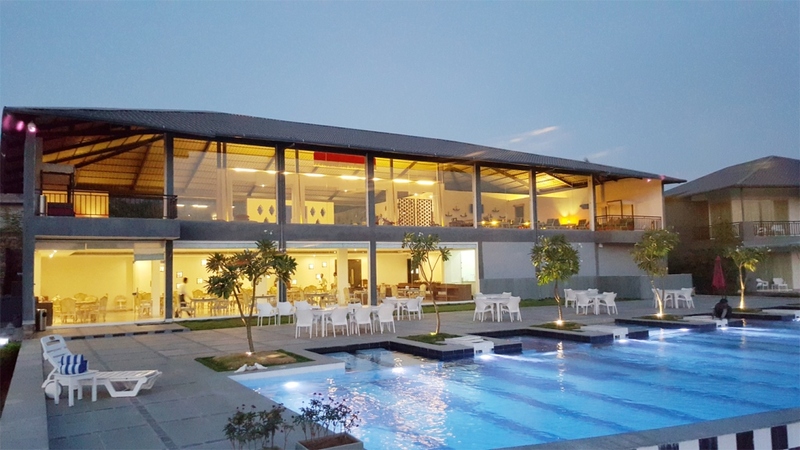 The Club Mahindra offers a membership plan as well, that gives you special access to several Club Mahindra resorts located around the world. Raas Devigarh is another palace structured hotel of the 18th century. This palace was converted into a 5-star hotel in 1999, you can unravel the site and find various beautifully crafted stone structures. As it is built on the top of a hill, it gives a landscape view of the valley. There are 39 suites designed uniquely that you can choose from. 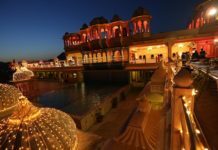 Another hilltop palace giving you the taste of the heritage culture of Rajasthan, this Resort apart from offering luxurious rooms and services also displays vintage cars that you can request a ride on. One can also experience Zip-line sport in the hotel premises or star gaze on the ideal location prescribed by the hotel staff or play with the friendly pets of the hotel. 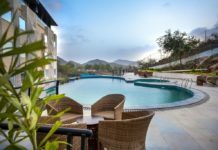 Don’t forget to like, share and subscribe to My Udaipur City; share your precious views, opinions and queries about above list of 5 star hotels in Udaipur in the comment section. We’d love to know your holiday experience in Udaipur; also share alluring snaps of Udaipur, we’ll provide a free Shout-out.